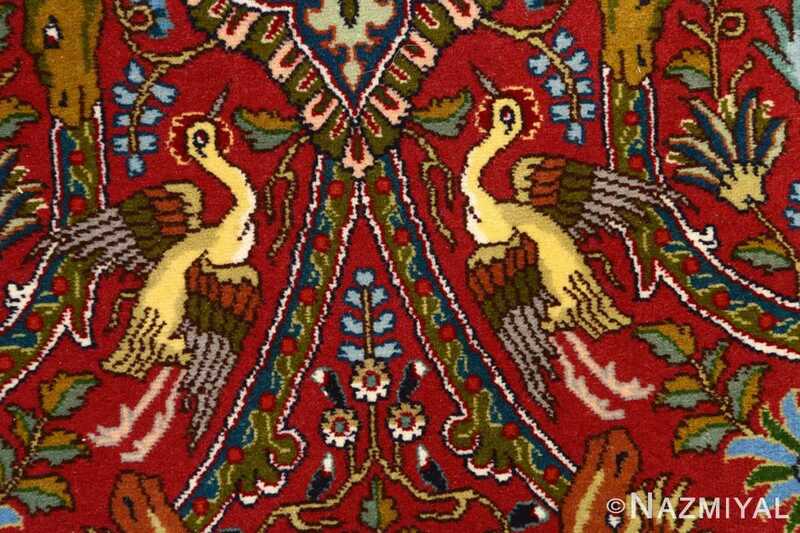 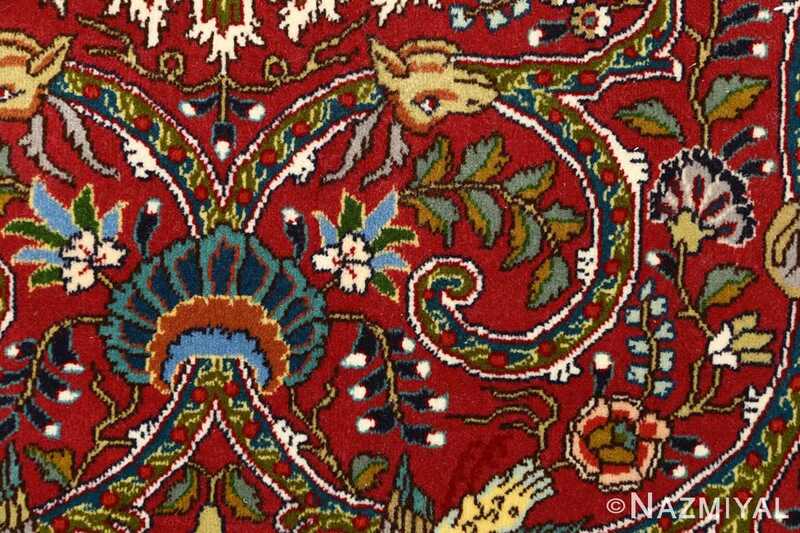 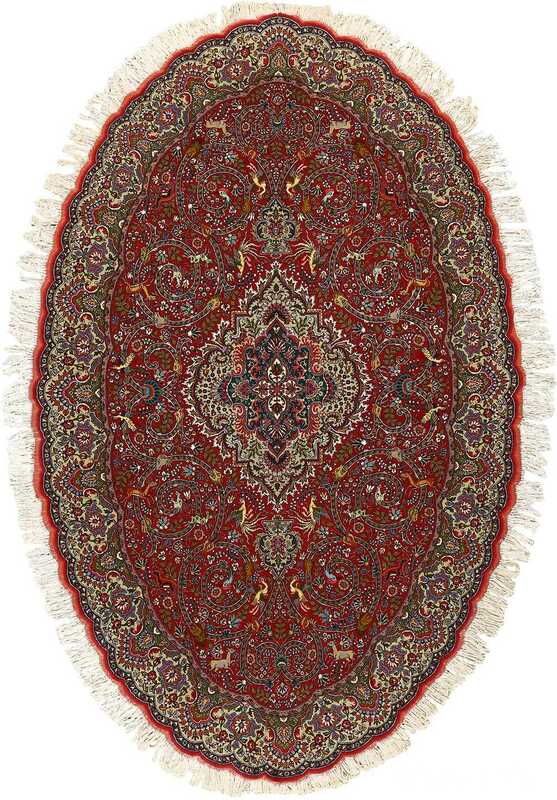 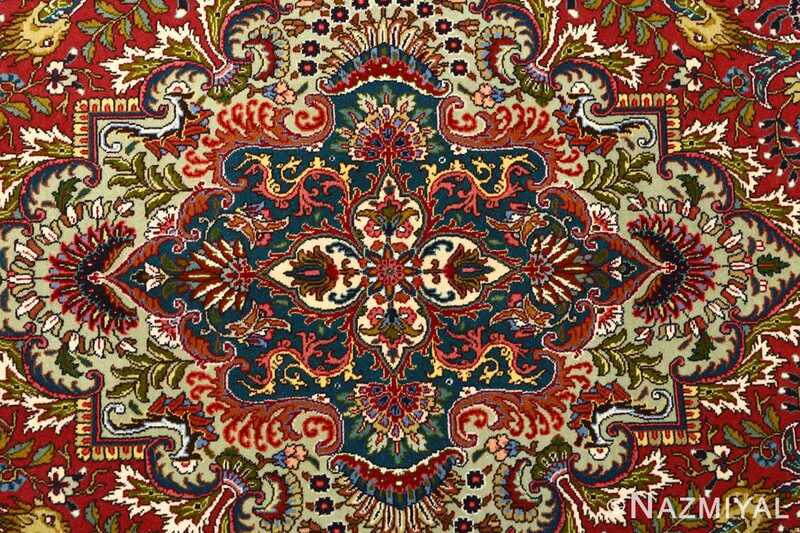 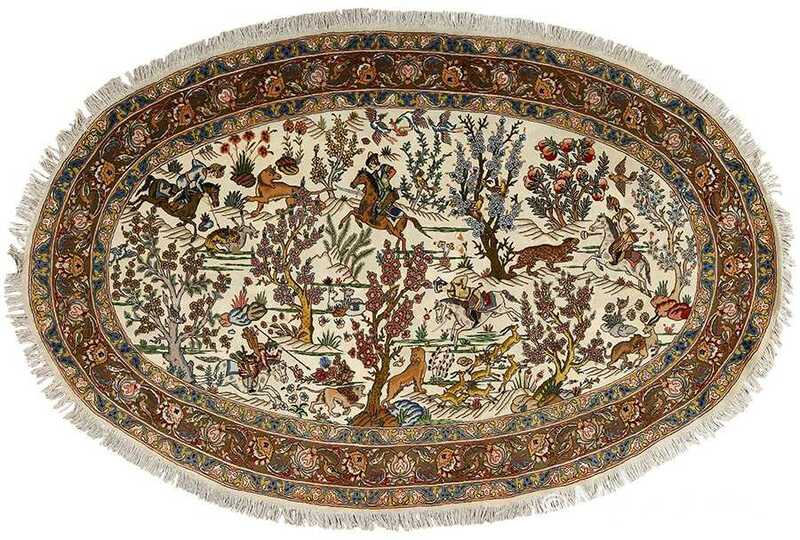 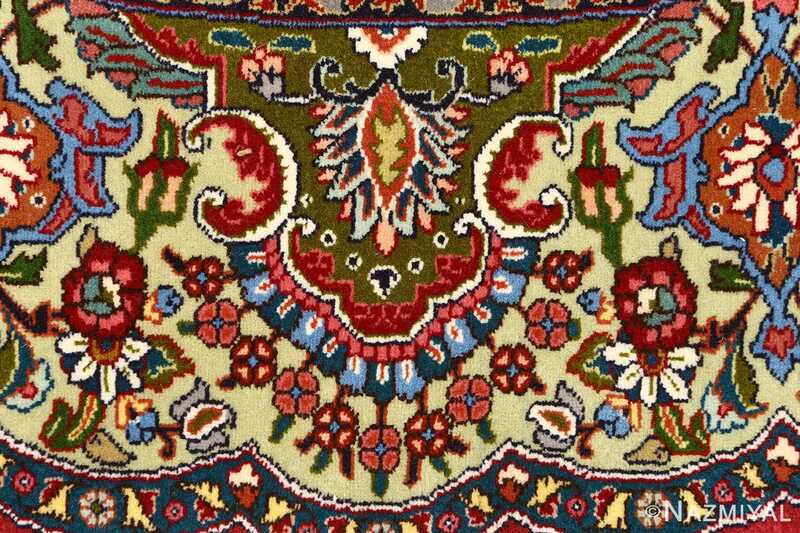 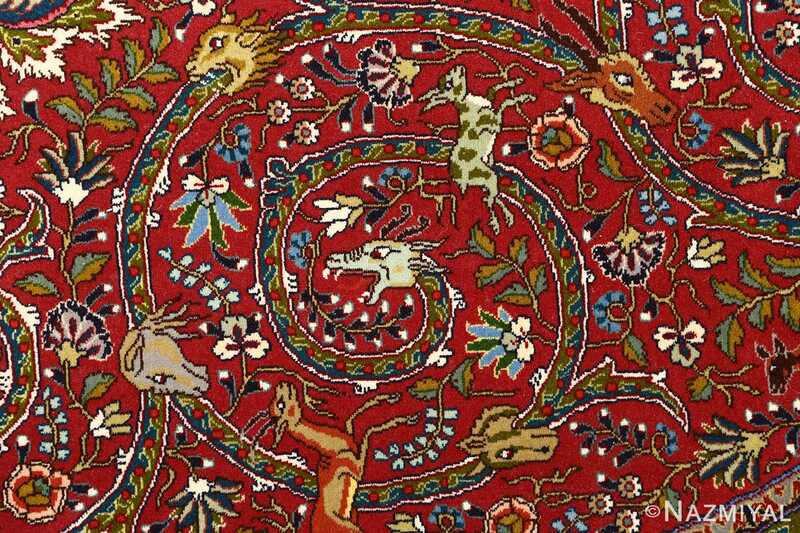 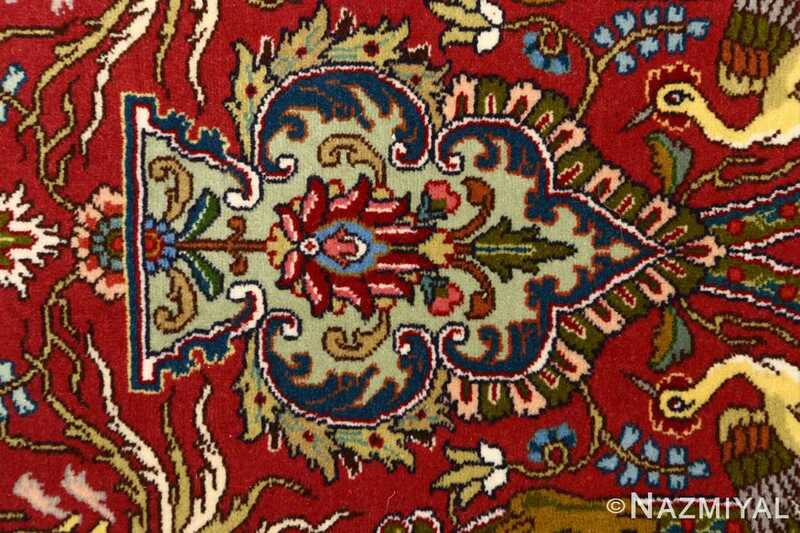 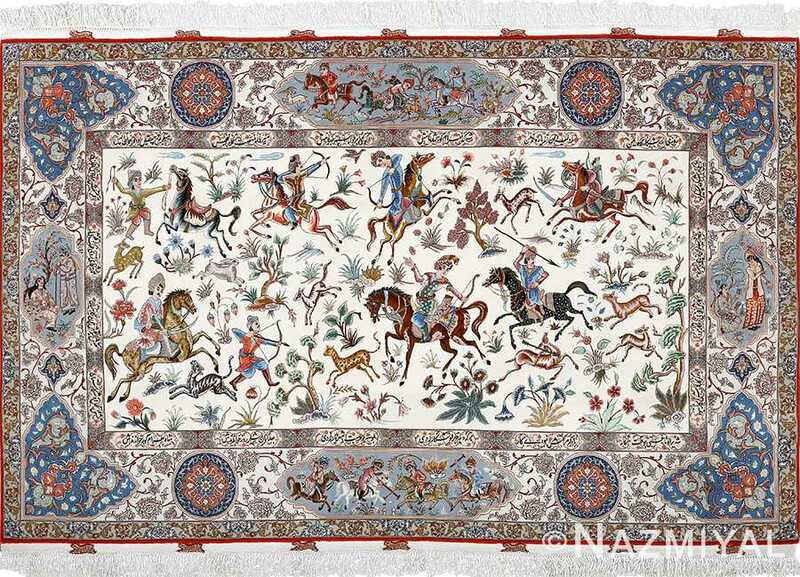 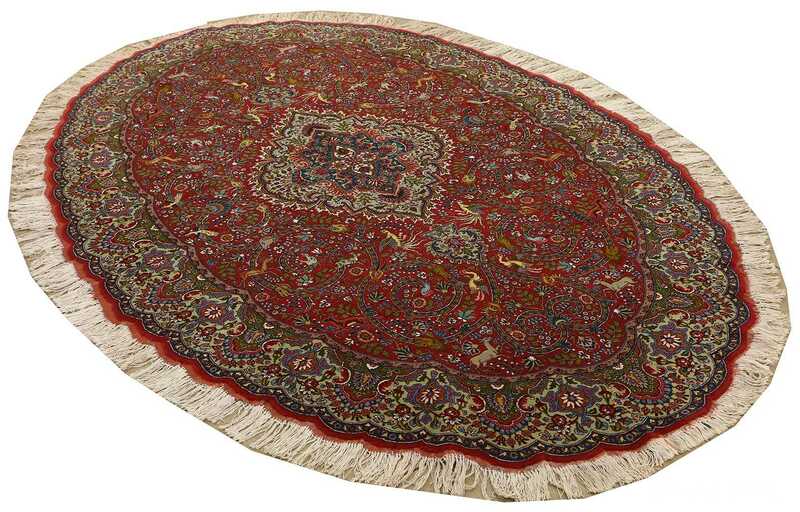 Intricate Red Animal Motif Vintage Tabriz Persian Rug 51139, Knots Per Square Inch: 450, Country of Origin / Rug Type: Vintage Persian Rug, Circa Date: Late 20th Century – Like many brilliant circular round rugs, this vintage Persian Tabriz rug emphasizes minuscule details, creating a living world at the foreground of the Oriental rug that entices the viewer to take a closer look. 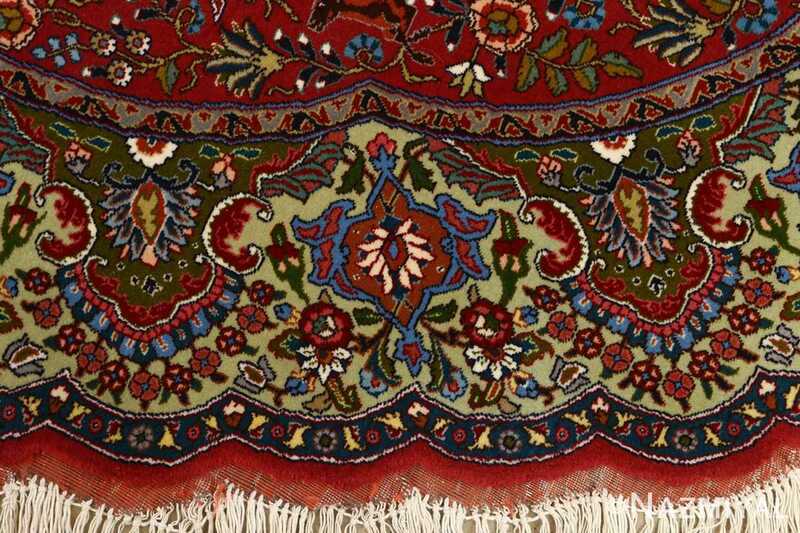 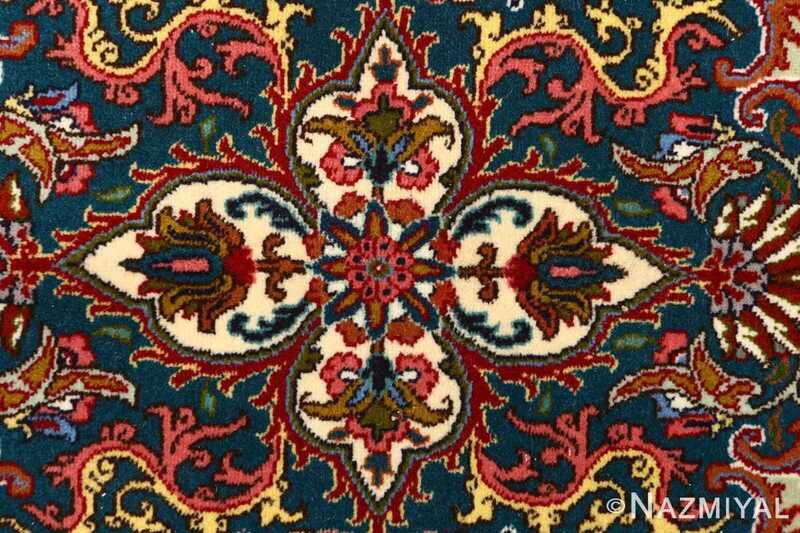 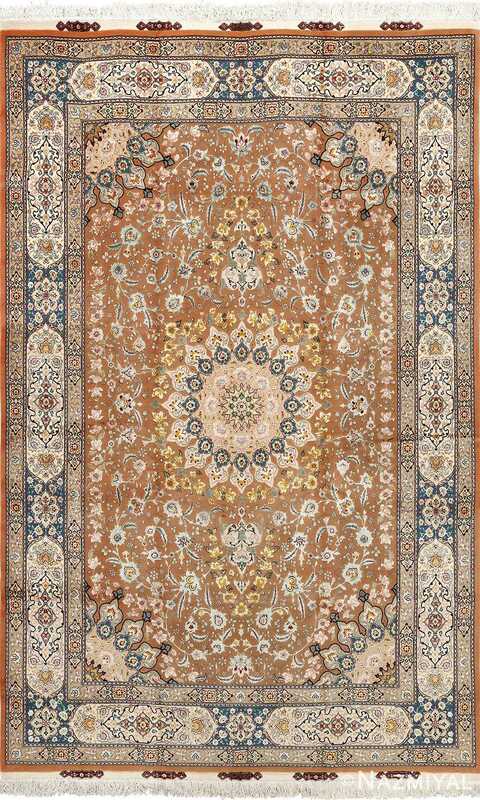 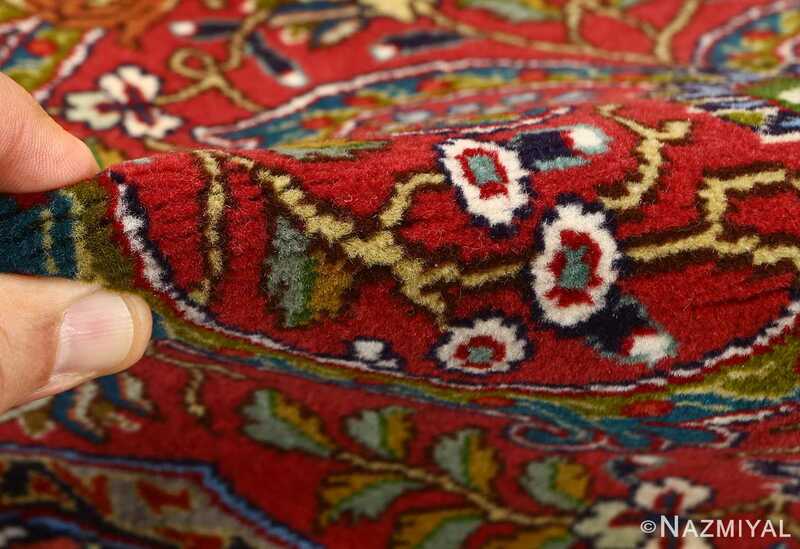 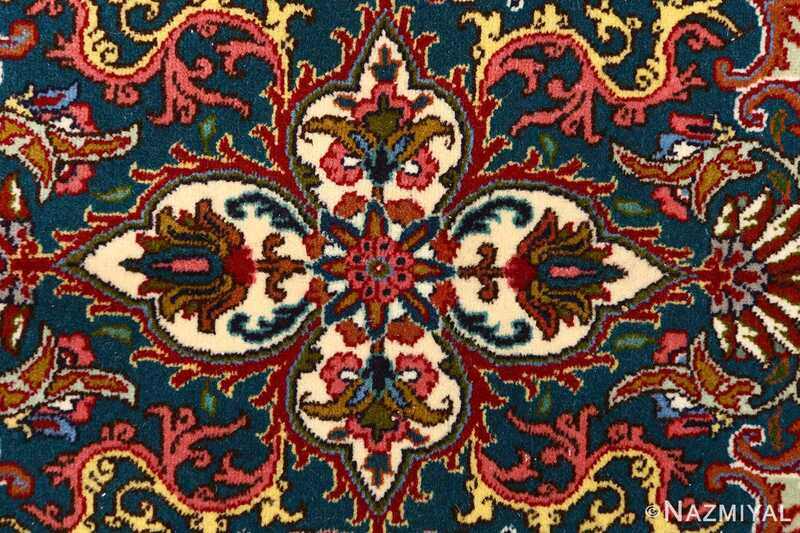 The use of fiery colors for the primary palette results in a warm and inviting appearance, and the lighter tones establish a contrasting break in the space that establishes contrast between many of the primary pieces at the forefront of the Persian rug. 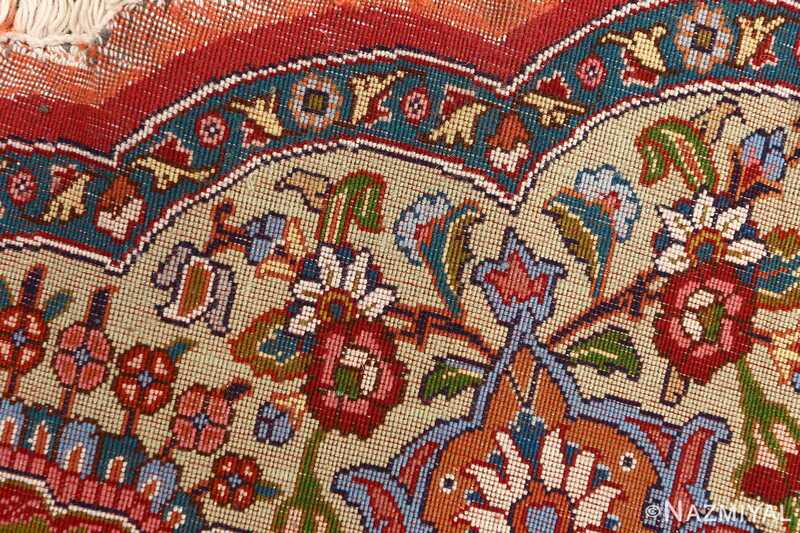 Though the majority of the shapes and movements are circular, the clever use of bordering and outlining establishes necessary grounding around the edges of the piece, creating landmarks that the viewer may refer to as they browse along the surface.